When a client approached us needing help finding a venue for a two night stay for 300 people for an anniversary family celebration, we jumped at the chance to use our expertise! They also wanted us to help them with a little outdoor team building which was also a lot of fun for all involved. We suggested many different options to them and it was decided that our It's a Knockout Total Wipeout style event would be the ideal solution for them!So the day came for the event and we arrived nice and early onsite - we always like to arrive within plenty of time so there is a stress free set up and we can snag any problems should they arrive. We unloaded the truck full of inflatables much to the delight of the guests that were gathering in eager anticipation. Everything was set up and it was time to start the show! 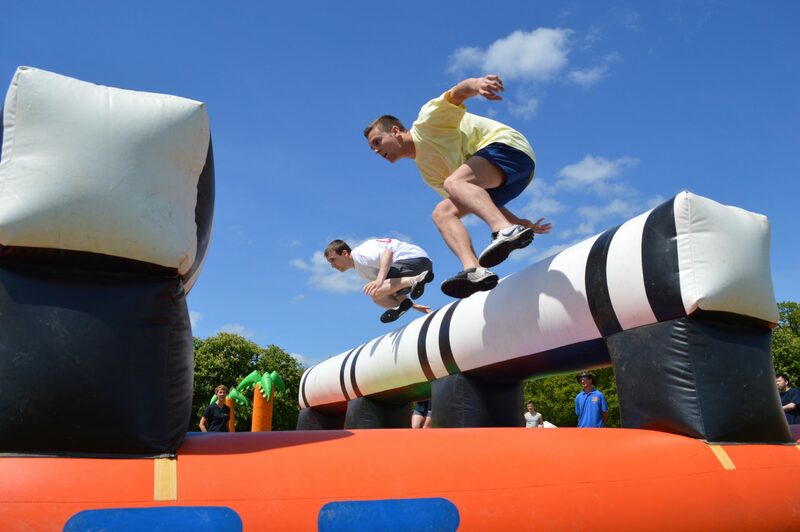 With guests split into teams we set them off on a series of inflatable games. The excitement was high as they started competing, each one wanting to beat the other!We warmed the teams up on the dry inflatable games, this is a very physical activity, so you have to be careful with people, you don't want to start with the wet games straight away because people can get cold and tired, luckily as you can see from the photos this was a glorious day! The scores were kept top secret throughout the whole event, which ensured that teams gave it their all right the way through to the end but with the final game completed it was time for our compare to announce the winning team. The tension was high as the scored were announced in reverse order and when the winning team was announced they went berserk! What a great event! 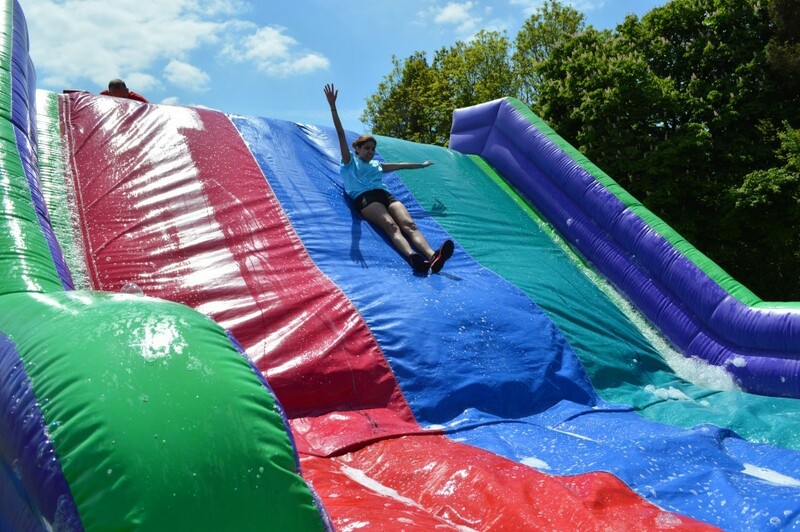 Our client was delighted and said everyone was talking about it and saying what a brilliant time they had had! 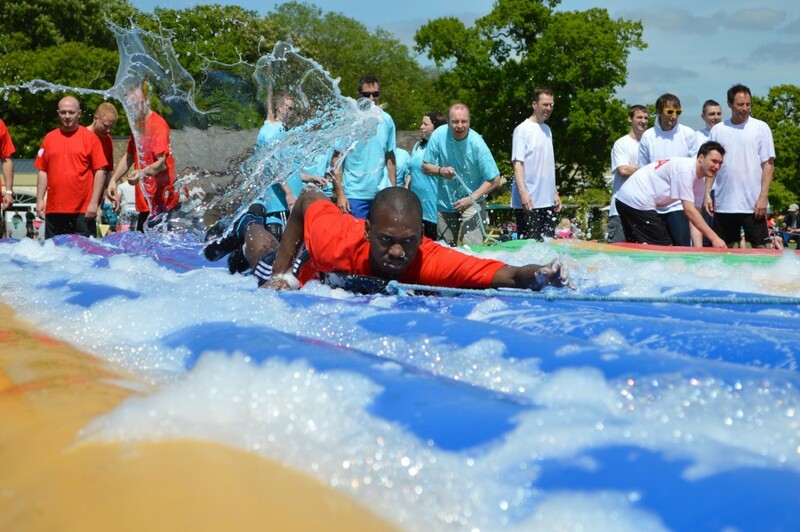 If you'd like more information on how to host the perfect outdoor team building event then please fill in our contact us form and we'll call you straight back or give the Accolade team a call on 0800 083 1172.